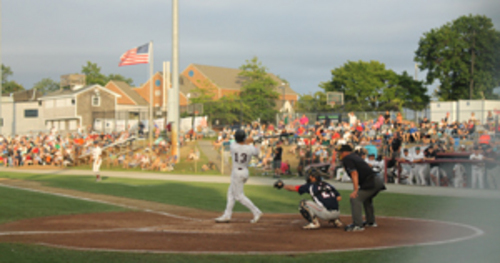 After a back and forth series, in which both teams each won a game in the other’s ballpark, Falmouth sealed the deal at home, where they are now 16-3 in their last 19 games. Falmouth got on the board in the first inning on a solo homerun from right fielder JJ Matijevic (Arizona). In the third inning, Falmouth took a 2-0 lead on a Deacon Liput (Florida) single that scored Michael Cantu (Texas). In the fifth inning the Commodores really broke it open. They scored four runs in the inning on a walk, two singles, a double, and a Bourne throwing error. Brendan King (Holy Cross) was dominant on the mound for the Commodores. King threw five shutout innings, striking out five and yielding only five hits to a team that had 53 playoff hits heading into the game. Three Falmouth relievers combined for four innings allowing only two hits and a two out, two run homerun by Bourne’s Jeremy Eierman (Missouri State) in the ninth inning. With the win Falmouth moves on to face the two time defending champion, the Y-D Red Sox, in the Cape Cod Baseball League Championship Series. Falmouth is looking to become the first President’s Cup winner to take home the league title in seven years. Game one is Thursday night at 6:00 p.m. at Guv Fuller Field.